Our experts at Thunderbird Dental Group share a passion for staying at the forefront of the health care field as the industry evolves in knowledge, treatments and technology. New research has confirmed that excellent oral health is integral to the maintenance of excellent whole body health. Evidently, this link is vital to our patients who are diabetic. If you suffer from a diabetic condition, you can effectively increase your chances of related complications by neglecting to care for your teeth and gums. The most important ways for our diabetic patients to maintain optimal oral health include: 1) Controlling glucose levels, 2) Visiting Thunderbird Dental every six months for your professional cleaning, 3) Keeping us aware of how you are managing your diabetes, 4) Brushing your teeth at least twice daily after meals, flossing daily, and using mouthwash, 5) Quitting smoking, 6) Becoming more aware of warning signs such as receding, tender or bleeding gums, and loose teeth. 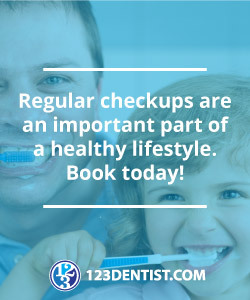 Thunderbird Dental is concerned with every aspect of our patients’ health, and would like to partner with you to restore and revitalize your overall heath. If you have diabetes, speak to one of our team members about how we can best protect your oral health.